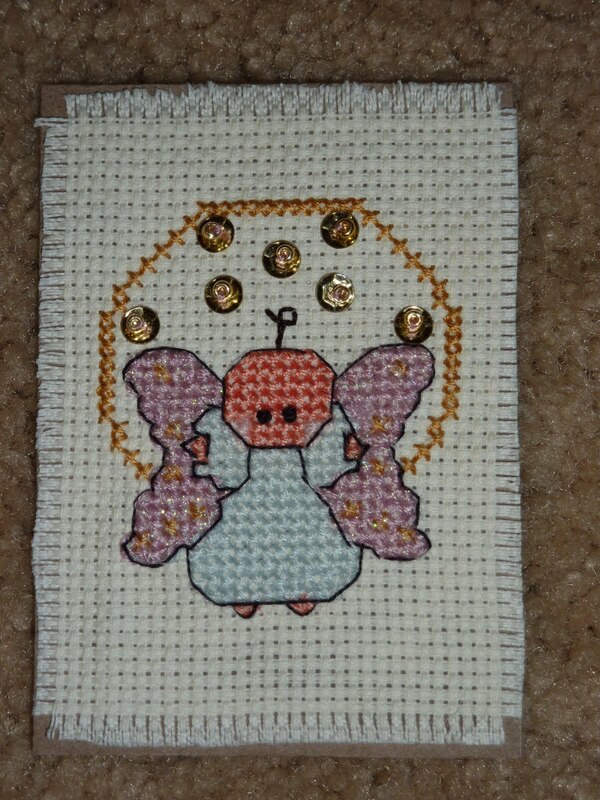 I started cross-stitching ATC's at the end of 2010 and although I haven't had time to do any for the past few months, I love the quick work ATC's are. 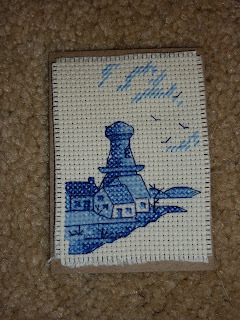 ATC's are Artist Trading Cards. 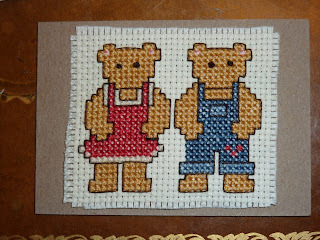 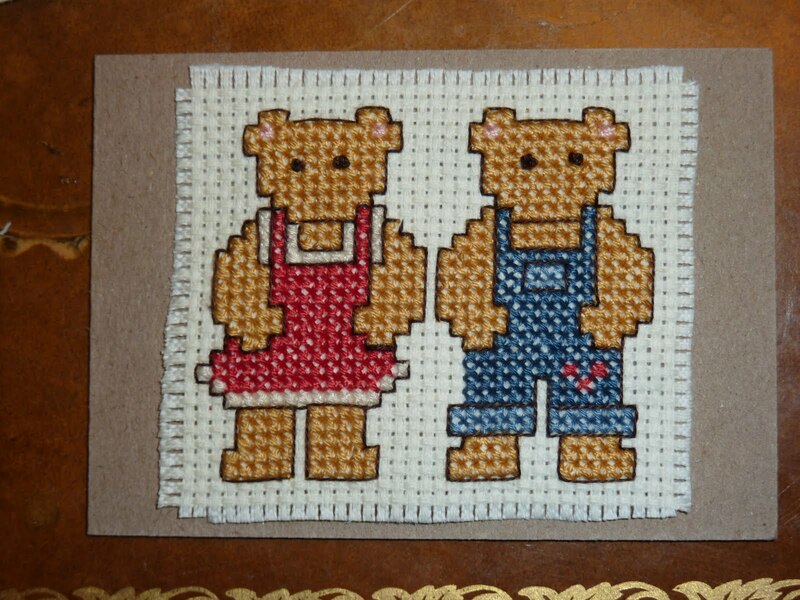 They are 2 1/2 by 3 1/2 inches and you mail them to other people who in turn make an ATC for you. 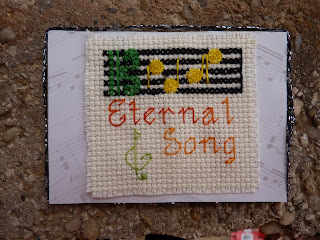 I have a book that I keep all my designs in. This angel was one of the first ones I made. 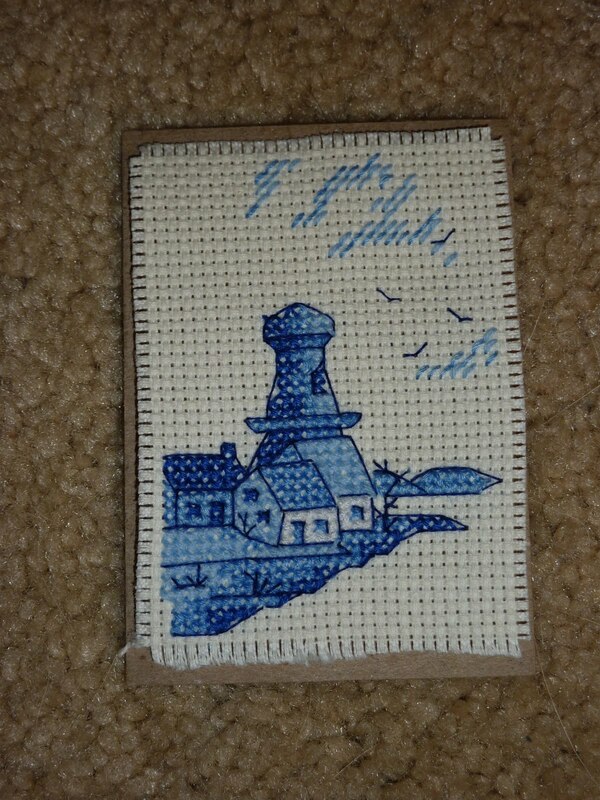 This was originally a windmill, but the recipient liked lighthouses so I left out the wind mill fan. 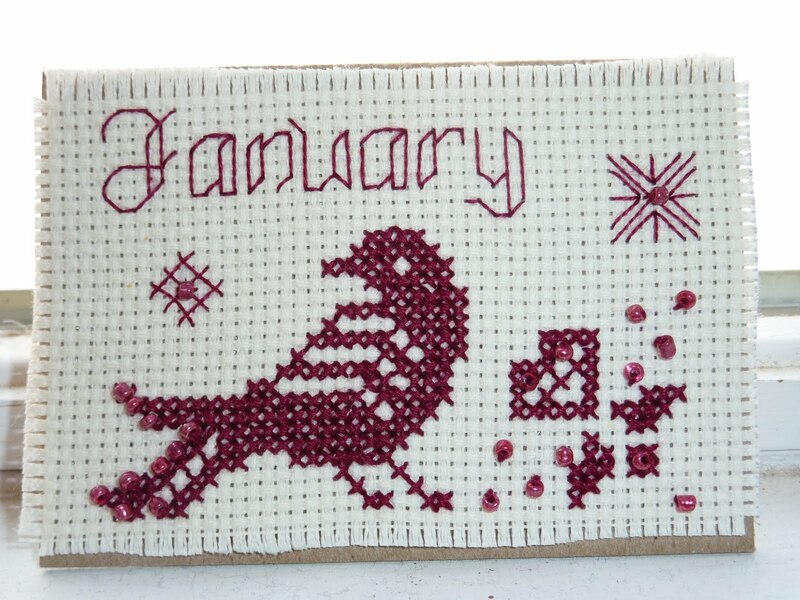 January 2011: Oiralinde means "eternal song"
January/Garnet theme (January 2011). 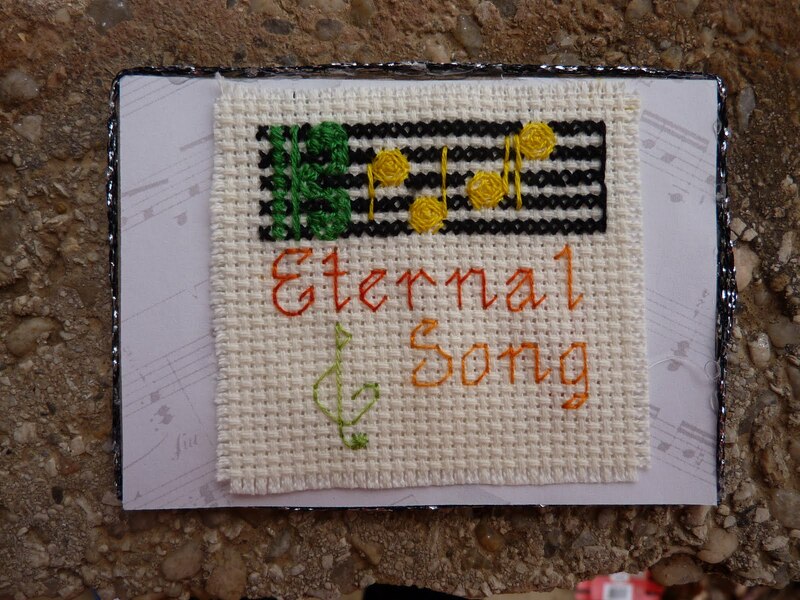 This is my first original design for an ATC.